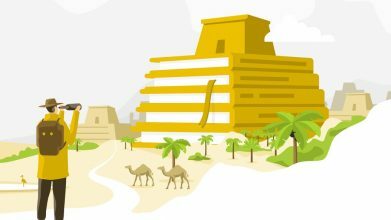 In today’s competitive book market, making an author website that helps you sell more books and build your profile requires more than just a Blogspot page and a domain with your name in it. 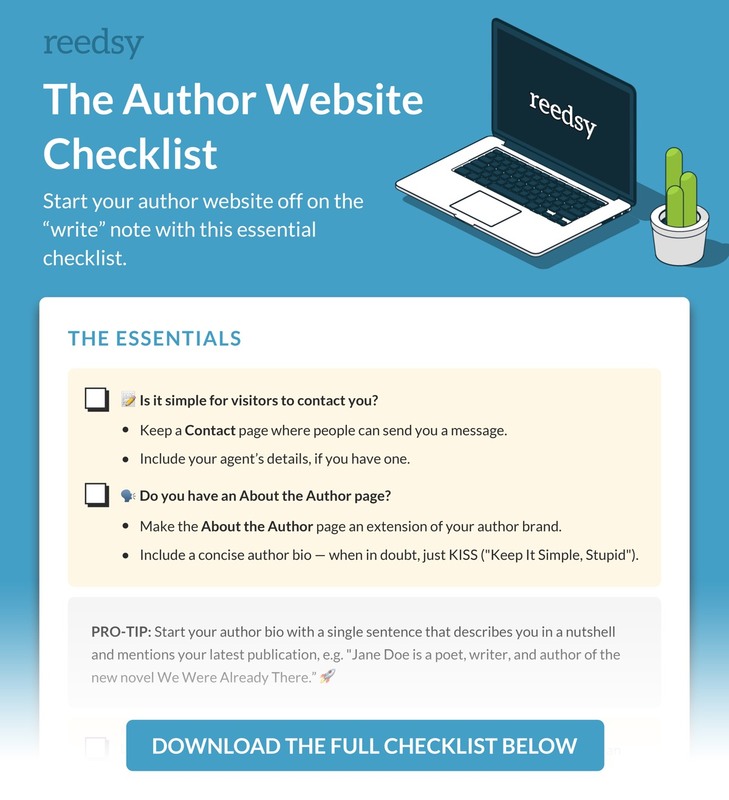 In this article, we’ve worked with experienced Reedsy web designers to whittle down ten top tips that will help you build the perfect author website. The first five tips are things that your site needs: pieces of advice that you cannot afford to ignore. Once you take those on board, we have five more tips that will make your site stand out from the crowd, helping you achieve your goals which are, if you’ve already forgotten, to sell more books and build your profile. And to finish up, we have a free checklist that you can download to make sure that your own website is up to scratch. Liam Fitzgerald agrees. He’s a professional designer whose portfolio includes sites for Anthony Horowitz, Eoin Colfer, and Darren Shan. He adds the caveat that you need not link to every retailer under the sun. One clever hack to consider is the Universal Link from Books2Read. 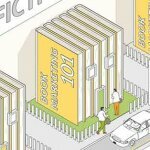 It’s a great (and, importantly, free) tool that directs readers to your book’s page on their preferred retailer with just a single link. Your biography doesn’t have to tell us your whole life story. Heck, it doesn’t even need to be true: plenty of authors write under a pen name with a fictional backstory. However, we would urge you to be honest and personal in your approach to readers. We’re big fans of the beautiful website used by author Steena Holmes. The charm of it comes from her personal touch: a “Meet Steena Holmes” section says it all. The ability for readers to connect personally with Steena is a crucial insight behind the construction of the website. Steena’s website is gentleness and personability encapsulated. She even has a section of her site devoted to cake recipes! How much sweeter could you get? Here are questions for you to consider now: What is your relationship with your readers? How can that best be expressed through your website? Honesty is key here: all reader/author relationships are different. Figure out what your relationship is like and go for it. 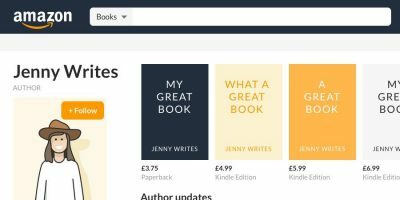 Okay, so we’ve covered the four crucial elements of an author website (links to retailers, bio, contact info, social media). Well, those things are important but this next bit is just as critical. Online visitors are not likely to return to your website without good reason. Just think about it: how many author websites do you visit on a regular basis? (If your answer to that is “plenty,” then please take our word: you’re in the minority). Your author site, especially when you’re not famous, should focus on capturing visitors’ contact information. By building your mailing list this way, you’ll be able to engage interested readers with a newsletter that delivers interesting content on a regular (but not too regular) basis, and alerts them to your latest book! At the very least, have a module on the homepage that allows people to sign up to your newsletter. When you’re ready to take things to the next level, you should start thinking about a lead magnet. More on that later. Understanding what your author brand is and how it engages your audience is crucial to designing any author website. If you’re the author of contemporary thrillers, having a papyrus scroll background and text in Comic Sans will do you no favors. But a simple, bold color scheme and clear text that matches the fonts and colors used on your book covers? Now you’re onto something. See Gillian Flynn’s website as an example. She has taken the lead from the design of her latest novel, The Grown Up, and rolled out the aesthetic across her homepage. This book is a departure from Flynn’s previous books, which have mostly been domestic thrillers of a sort. Fans visiting her website now will instantly detect a shift in her brand: a new aesthetic which is perfectly in line with the tone of The Grownup, a classic ghost story. Now that you’ve mastered the basics of how to make an author website, let’s step it up. In this next section, we’ll look at tips that will transform your run-of-the-mill site into something awesome. “Having a website that’s non-responsive, meaning that it doesn’t optimize itself for the device used by the visitor, is simply not acceptable in 2017,” says Liam Fitzgerald. It is now standard for all professional sites to be able to detect if you’re using a mobile device or a tablet, then ensuring that the text is large enough to read and scroll through. Popular services such as SquareSpace that will create off-the-shelf responsive websites for you by default. If you choose to use WordPress, as many authors do, be aware that not all of the themes are fully responsive. Another word of warning with WordPress: it’s an open-source platform, which means most of the themes you find are generated by other users. Not all of them will run smoothly and reliably — and those that do will likely be used by every other author under the sun. On the upside, a lot of these themes are free. 7. Don’t know what OpenGraph tags are? Get on it! Ignore OpenGraph tags at your own peril, warns Jeremiah Tolbert. To put it simply, OpenGraph tags are pieces of code developed by Facebook. 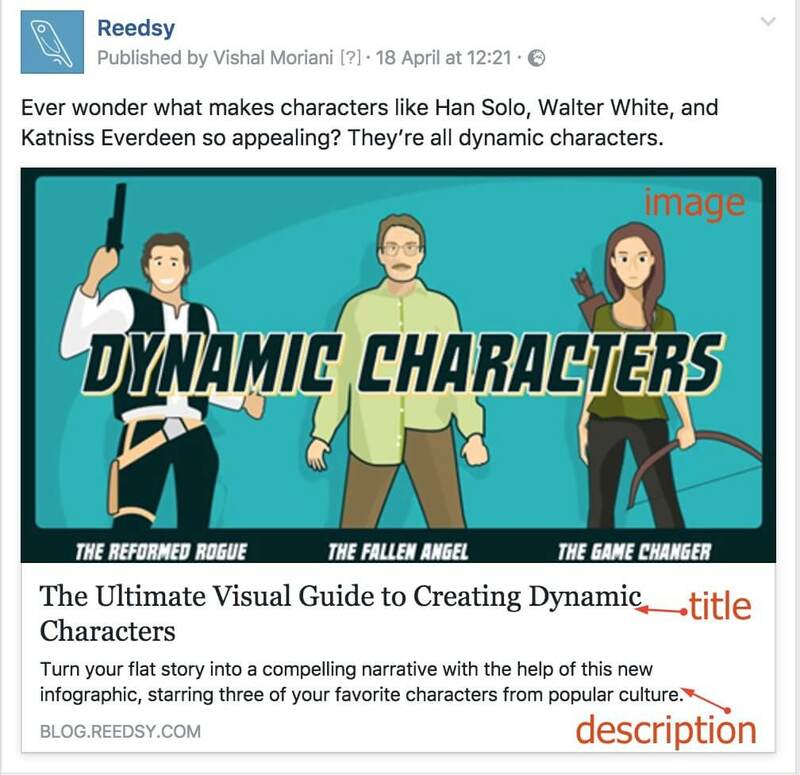 They make your pages easier to share on social media platforms by allowing you to set the image, title, and description that display on Twitter and Facebook, for example. If you're using a tool like WordPress to build your site, there are plugins that will allow you to determine what image, title and description get used in these previews. That way, you can optimize your image or messaging for each specific platform. “Find yourself a good plugin, read up on Facebook's guidelines, and be sure to provide OpenGraph tags on all your pages,” says Jeremiah. “Social sharing is a huge driver of traffic today, so you want to exercise some control over how your content is presented on these sites. Earlier, we mentioned the need to collect your visitor’s email addresses. One of the best ways to do this is with a lead magnet. This is where you offer users something of value in exchange for their contact information. 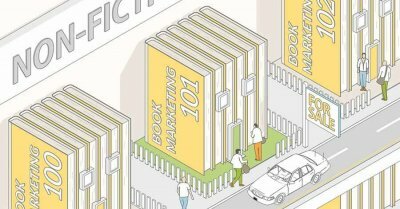 In publishing, the most common lead magnet is some sort of free content: usually chapters from your book, or perhaps even an entire ebook. This is particularly common for authors who have written a series. Hook them in by giving them book one, and then contact them by email and get them to buy book two (and three, and four). Visitors to the author Ashley Farley’s homepage are immediately greeted with a pop-up inviting them to subscribe to her mailing list (right). In exchange for signing up, readers are promised a raft of content including personal recipes and three of Farley’s short stories. Other authors will run regular giveaways as a lead magnet, where winners can receive signed books or other such gifts. Lead magnets are incredibly effective thanks to the power of reciprocity. This makes people much more likely to “repay the favor” of receiving free content by, for example, buying your book. Plus, by asking them to part with their email address before receiving your sample chapters, you’re creating the illusion that it has greater value than if you let them download it with no strings attached. Likewise, DIY designers often fall into another common trap when it comes to creating their navigation bars — the sets of menus you’ll see at the top and sides of a site. A fantastic example of this sort of thinking is Mark Dawson. He has one of the best author websites out there. In fact, it’s more than just a standard website: it’s a powerful portal to capture readers instantly and succinctly communicate his message. The text is brilliant: a clear and effective communication that is consistent with book’s brand. The single-page design of the website is also effective. 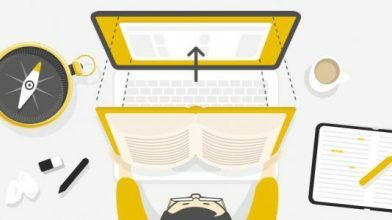 Too much unnecessary jumping around different website pages can be distracting for visitors, and this is a good way of keeping the reader’s focus. Scrolling down the page, the focus is clearly on the books, as opposed to Mark himself, whose bio is towards the bottom. This is a clever decision, again focusing on the books and characters. Note how he only uses two social shares (Facebook and Twitter) at the top, directing readers to a specific selection of social media that is appropriate to his audience. Never spread your marketing efforts too thinly! Think about what you are prepared to invest into your website to make it stand out from the competition. 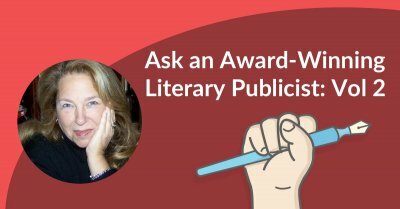 Authors work in an extremely competitive market, and if you want to take your career to another level, it may be worth seriously considering what you look like online. The best author websites are able to be both effective and original because a lot of thought has gone behind the core aspects of each one. To create your own website, not only should you consider collaborating with a professional web designer, you should also know what successful author websites look like, and what goes into building one. 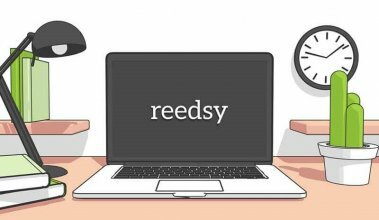 Reedsy has recently welcomed web designers onto their marketplace. These hand-picked professionals have created sites for some of the world’s best-selling writers and are ready to do the same for you. Find out more about creating a world-beating online presence and get a free quote by heading to our author website design page. To make sure that your website does your work justice, we've created a checklist that you can use throughout the design process. Simply scroll down to download. 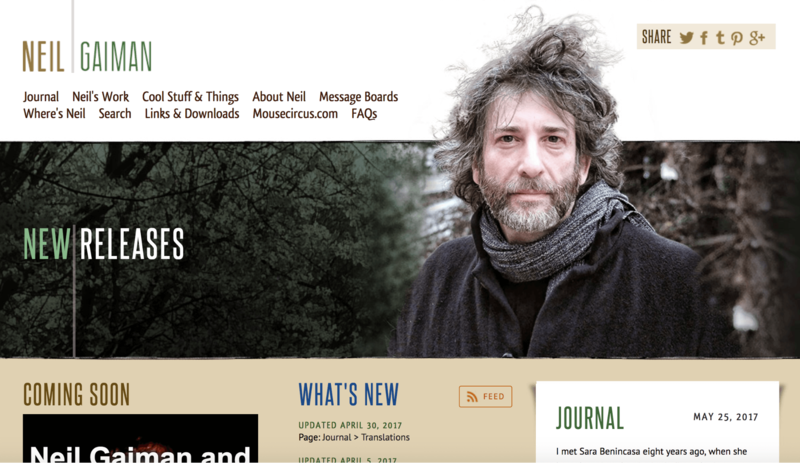 11 Author Websites That Get it Right: a post analyzing 11 famous author websites to offer some invaluable takeaways. 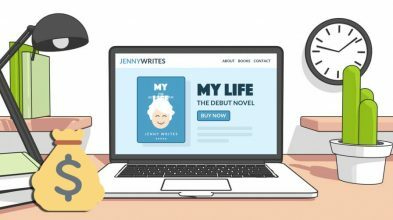 Author Website Design Inspiration: more advice on author websites, looking at how they can turn your readers into lifetime fans. 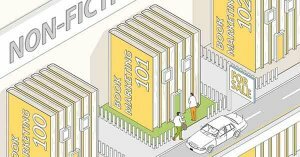 What are your favorite author websites out there? What other tips would you add to this list? Let us know your thoughts in the comments below!